The most common cause of stress for adults across the UK is the workplace. According to the 2018 UK Workplace Stress Survey, 59% of adults are currently experiencing workplace induced stress and only 9% claimed to never have experienced it. Although this stress is caused by the workplace, the effects of it are not limited to the office and many people feel it seep into their private life. The biggest noticeable impact of stress is sleep loss, felt by 65% of adults last year who attributed it to work-related stress. The National Sleep Foundation backed this up further in their finding of a strong correlation between stress and insomnia. 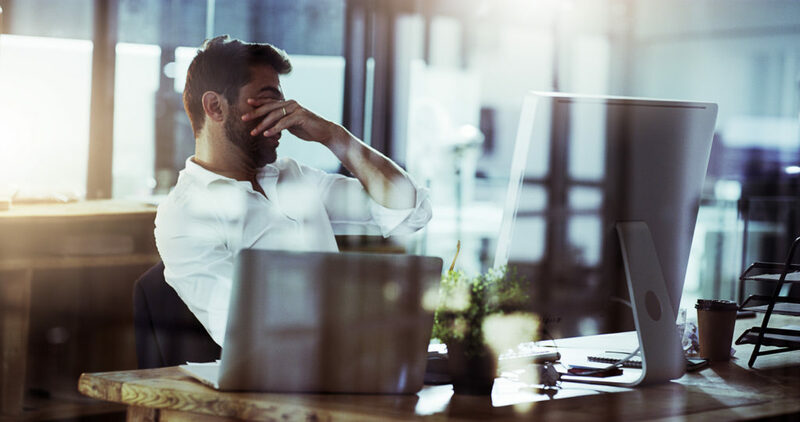 The effects of workplace stress is not limited to sleep deprivation, in fact an amalgamation of the two can result in anxiety, felt by 47% of adults, disrupted concentration and a notable decrease in productivity. Whilst going to work is unavoidable, there are many ways you can manage this stress. A simple and natural remedy to do this is CBD oil, available in many different forms from Reakiro — a European leader in the industry. Although there have been many unanswered questions surrounding CBD, what it is, where it comes from, and what it does, this plant-based product has been making recent waves. Thanks to an increase in scientific research and an influx of positive testimonies of CBD use, the stigma has been massively reduced and Forbes have predicted it to be a multibillion dollar market by 2020. When it comes to combating workplace stress with CBD there may be a few questions that come to mind. Is CBD a remedy for insomnia or can CBD keep you awake? Also does CBD calm anxiety or can CBD oil make you more anxious? The experts from Reakiro will answer these questions in this article, but first of all it is important to look into how CBD works. CBD (cannabidiol) is a naturally occurring compound found in the cannabis plant, although this is the same family as the marijuana plant, CBD oil is more often than not extracted from the hemp plant. A common misconception is that CBD oil and marijuana are interchangeable, however this is not the case. The chemical THC is the psychoactive component, which is what can inflict a mind-altering state, but this is barely traceable in CBD oil. Scientifically speaking, CBD works by interacting with the receptors in our endocannabinoid system. The endocannabinoid system is vital to a great number of physiological processes such as: mood, stress, energy levels and blood pressure — all of which greatly influence our day to day experiences. Ultimately, when it comes to dealing with stress, CBD can have very positive effects on controlling your serotonin levels and the neurotransmitter which releases it. CBD can also help restore balance in your endocannabinoid system which could be offset under chronic stress. As evidenced by the priorly mentioned surveys, workplace stress can inflict all kinds of secondary issues: sleep loss, insomnia, anxiety and a knock in productivity. By managing the problem at the root, one can avoid the affliction of these issues — and relieving stress with CBD is a simple, healthy and affordable solution. Commonly asked questions include can CBD cause insomnia and can CBD oil keep you awake at night; research and experience show that the answer to both of these questions is no. Thanks to a reduced level of stress and anxiety when taking CBD, the chance of being affected by insomnia is greatly reduced. If you are currently taking any prescribed medicines please speak to your doctor before using CBD. Reakiro offers a full spectrum of CBD products, meaning there is something for everyone. From oils to e-liquids, Reakiro products are an easy and convenient solution for longterm and sudden onset afflictions. Visit their website to help combat your workplace stress or to use CBD oil for anxiety which you may be experiencing due to the office.